This announcement comes after Vacation Express and Interjet completed a very successful winter travel season, departing from Cleveland, Columbus, Nashville, Newark and Pittsburgh. 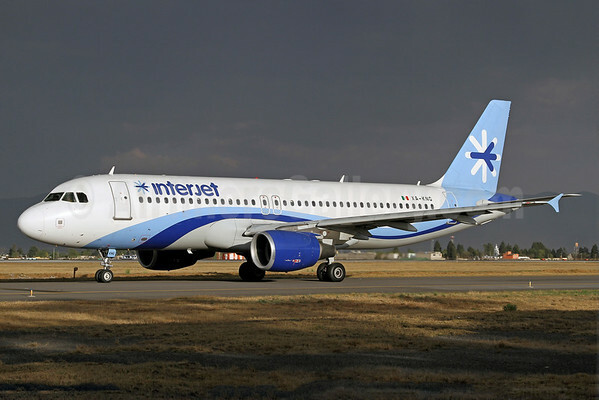 The two newest gateways for Interjet departures are Richmond and Charlotte that recently started on Monday, April 6 and Raleigh/Durham that will begin on June 14. These weekly, exclusive nonstop flights will continue through the summer and some are extended through the fall for travelers to visit destinations in Mexico. Vacation Express, part of Sunwing Travel Group Inc., has been in existence for over 25 years and offers vacation packages to over 35 destinations in the Caribbean, Mexico and Costa Rica. The charter flights are operated by Sunwing Airlines, AeroMexico, Swift Air, LLC, Interjet, Xtra Airways and Volaris. Copyright Photo: Duncan Kirk/AirlinersGallery.com. Airbus A320-214 XA-KNG (msn 1747) is pictured at Toluca, Mexico. This entry was posted in Interjet, Vacation Express and tagged 1747, A320, A320-200, A320-214, Airbus, Airbus A320, Airbus A320-200, Charlotte, Cleveland, Columbus, Interjet, Nashville, Newark, Pittsburgh, Raleigh/Durham, Richmon, TLC, Toluca, Vacation Express, XA-KNG on May 2, 2015 by Bruce Drum. Copyright Photo: Rurik Enriquez. Embraer ERJ 135LR XA-AMM (msn 145687) is pictured at the Toluca base. the company is expecting two more ERJ 135s. FlyMex (flymexjets.com) (Toluca) is a new Mexican charter airline. This entry was posted in FlyMex and tagged 145687, Embraer, Embraer ERJ 135, ERJ 135, ERJ 135LR, FlyMex, New Airline, Rurik Enriquez, TLC, Toluca, XA-AMM on September 21, 2010 by Bruce Drum.